Gionee M2017 is here and you wont be disappointed. Having been launched in 2016 December, Gionee M2017 happens to be the latest kid to reckon with in the current smartphone revolution. With many interesting features coming along with it, the most notable happens to be its battery.It is crafted with two batteries each of 3500mAh totaling to an impressive 7000 mAh. The M2017 comes with a jewelry-style aesthetic aiming to make the smartphone as tactile and pleasing an object as a fine watch or wallet. ⇔ It is crafted with two batteries each of 3500mAh totaling to an impressive 7000 mAh. Developers claim it can give up to 32 hrs talk time and 26hrs of video play. ⇔ It also supports a fast charge of 3.0. 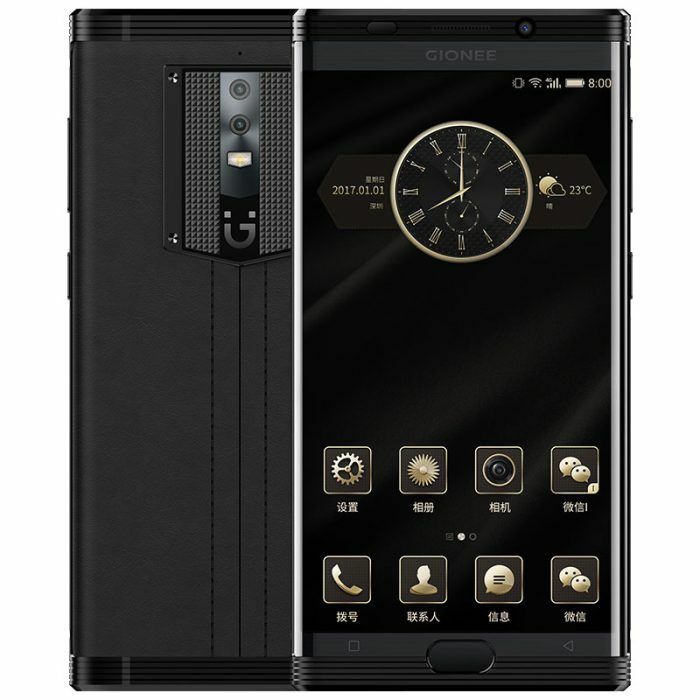 ⇔ The GioneeM2017 comes with a 5.7-inch curved screen with incredible pixel resolutions. ⇔ It has a 1.44GHz octa-core Qualcomm processor combined with 6 GB RAM. ⇔ The phone has a 128 GB storage and happens not to support micro SD cards. ⇔ It operates on a marshmallow operating system of 6.0. ⇔ It also has a dual camera with 13 mp camera at the back and 8 mp at the front. ⇔ For connectivity, it comes with USB OTG, Bluetooth, GPS, WiFi, 3G, and 4G. ⇔ This gadget weighs 238 grams with a slim battery of 10.78mm in approximation. The smartphone also features a fingerprint scanner for advanced security and comes with a textured back for that premium feel. Unfortunately, it is yet not clear whether the gadget will make way outside of China. All we can do is wait and see.